Immune Formula provides known herbal support ingredients to strengthen the immune system in its fight against invaders. It features a potent blend of echinacea, schizandra and astragalus, all important support nutrients when your body is fighting those pesky winter colds and flu. 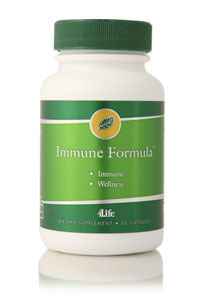 4Life’s Immune Formula is safe and effective, and contains 100 percent all-natural herbal ingredients.